In-demand Bordeaux winger Malcom has admitted 'it would be a dream' to play for ​Bundesliga champions Bayern Munich, as speculation ramps up about his next club. The 21-year-old Brazilian, who has been linked with a host of clubs in the ​Premier League and beyond, told ​Sky that he hopes ​Bayern Munich's reported interest in him 'turns into reality', as he seeks a summer move away from Ligue 1. Malcom has recorded an impressive eight goals and six assists in the 27 Ligue 1 appearances he has made so far this term. He ​has been subject of previous interest from Premier League rivals ​Arsenal and ​Tottenham Hotspur. In fact, ​Malcom wanted to leave Bordeaux in January but a proposed move to England fell through and the winger was told that he would have to wait until the summer if he sees his future elsewhere. 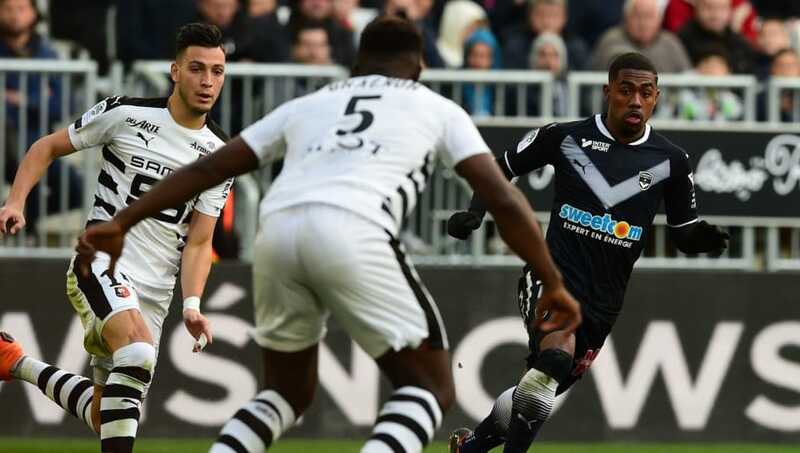 Having graduated from the academy of hometown club Corinthians in Brazil, Malcom impressed for their first team and earned his move to Europe when he signed for Bordeaux back in 2016. Speaking to Sky, Malcom said: ​"Bayern Munich is one of the biggest clubs in the world and it would be a dream to play there one day. "Everybody knows Bayern Munich, I'm very happy that they are considering me. I'll continue to keep working hard on my game so that, one day, perhaps a move to Munich turns into reality." However, Bayern Munich manager Jupp Heynckes has moved to quash speculation of a transfer for the young winger. "I have never seen him play. Such players are often touted around like this, but I don't think he's a topic [of interest]. Our scouts will probably see it similarly," Heynckes said, via ​ESPN.